In Operation Chimera, two new Operators join Team Rainbow to help contain a mysterious parasite infection that hit a small town in New Mexico. To safeguard the perimeter, Six selected the most qualified biohazard specialists in the world: Lion and Finka. From France and Russia respectively, the hot zone Operators Lion and Finka are veterans of numerous conflicts involving bio-chemical threats. They join Team Rainbow to create a CBRN Threat unit, which will provide tactical gear and expertise to quell biological hazards. Born 3 years after the Chernobyl disaster in Gomel, Belarus, Lera Melnikova was diagnosed with a neuropathy: slow muscle degeneration and loss of sensation in the limbs and extremities. She pushed herself to stay fit to overcome her symptoms. She moved to Novosibirsk and graduated with a Ph.D. in Microbiology and Immunology, uncovering treatments using self-dissolving nanites. It wasn’t a cure but she found remission. Her research saved Spetsnaz operators from hazardous materials and that opened her eyes to new possibilities. She joined the Army, then became the Spetsnaz CBRN Specialist. As for her Finka moniker, got to ask Kapkan or Lera herself. Finka's Adrenal Surge activates pre-injected nanobots made of zinc in operators, releasing a pharmacological cocktail into their system where the zinc is absorbed as a nutrient. These nanites give her team a short boost in HP, they help allies out of DBNO, and they steady the team’s aim. She’s the only one capable of tailoring the nanites to specific operators. After a space capsule crashed in New Mexico, an Outbreak and a surge of violence forced the authorities to establish a Quarantine Zone around Truth or Consequences. The whole town was infected with an alien parasite, which triggered aggressive mutations in the residents. This parasite is highly adaptable, able to mutate into dangerous five lethal types of Infected. The Quarantine Zone is the only thing keeping this Outbreak contained, but it will not last. If the parasite gets out, the resulting death toll would reach unprecedented numbers. Outbreak challenges you to step up to the plate. Go on the offensive and venture inside the Quarantine Zone to contain the infection threatening to spread across North America. Explore our three new maps with your squad and survive hordes of hostiles to identity the source of the parasite. This limited-time event will be held from March 6th to April 3rd 2018. We invite you to play Outbreak on our Technical Test Server starting on February 20th. 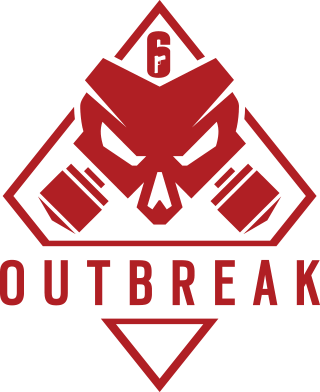 Outbreak will be made available periodically throughout the TTS phase, allowing us time to improve and implement fixes as necessary. Outbreak’s three player coop mode will force you to revisit your strategies and push you to rely on teammates like never before. The infected hostiles outnumber you on every front, and your only way out alive is through innovative tactics that will give you an edge. Your team will be composed of three of the following Operators: Ash, Tachanka, Doc, Smoke, Buck, Kapkan, Glaz, Ying, Finka, Lion and Recruit. The loadout of Outbreak Operators will also be tweaked to incorporate gadgets that favor melee combat. The flashbangs will allow for special takedown combinations, and smoke grenades will encourage chaos that will thin out your enemies. Outbreak will bring the tension of CQC to another level. Grunts are common hostile that become highly resistant when the parasite detects an enemy presence. To protect its host, the parasite armors its body and becomes more resistant to bullet wounds. They will try to surround you, and flank you from the sides. Caution and stealth is recommended. Smashers are not discreet. The parasite reinforces its body under a massively thick hide, making it practically impervious to bullet wounds. They can also tear down walls without suffering any injuries. Most weapons are ineffective against them so be wary, their goal is to split you up from your teammates. Apex is at the top of the hostile food chain. It sends waves of hostiles your way rather than attack you head-on. They can hurl blinding projectiles, which can only be countered by Finka and Doc. This opponent is a real test on your team’s communication skills. To succeed you must eliminate the growing number of hostiles while hunting down the Apex. In Resort, you are dropped in the streets of Truth or Consequences for an insertion operation. You must breach an ageing resort heavily infested with hostile. According to our intel, the parasites are building a nursery. Foray into treacherous crevices and course through a kitsch décor crawling with hostile vacationers. Hospital offers an elaborate hostage rescue operation, which is located deep in infested territory. The grim and narrow hallways set the stage for CQC tactics. The risk is worth it, though. The doctor trapped inside the hospital may be key to providing a cure. The latest intel leads to a private property situated on the outskirts of Truth or Consequences. Junkyard offers an open outdoor setting with unique obstacles to keep you and your team vulnerable. Make a firm stand as waves of hostiles try to protect the heart of the infection. The Outbreak Collection contains 50 cosmetic items of Rare, Epic and Legendary quality. There are a total of 50 unique items, including weapons skins, headgears, uniforms, charms and a unique Elite Uniform. Get 4 packs just by connecting to the event. Available only from March 6th to April 3rd, 2018. You can also get 10 packs with the Advanced Edition, Y3 Gold Edition, or the Y3 Complete Edition. 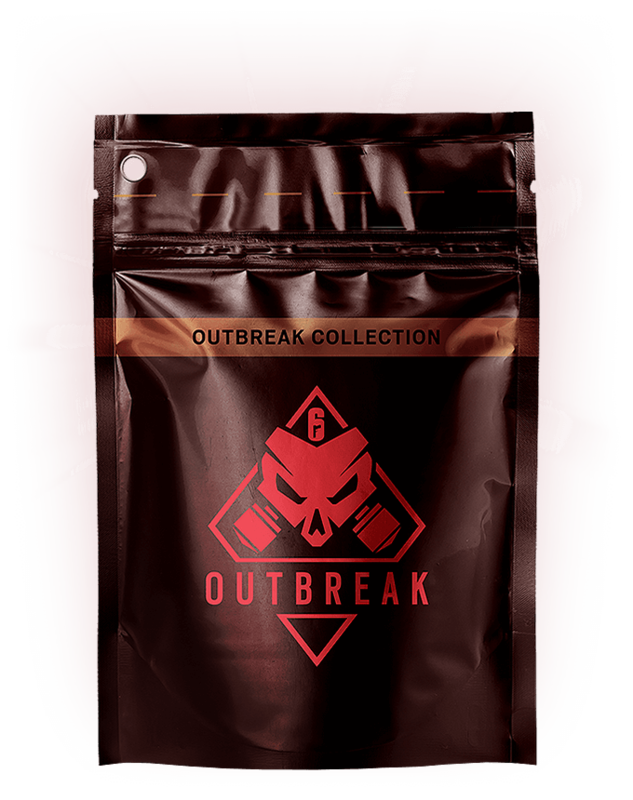 The remaining packs can be purchased with R6 credits during the Outbreak Event. We would like to thank you for supporting our game. To show our gratitude, we offer you the Ash Sidewinder Elite set. This unique set includes the Sierra Serpent weapon skin for the R4-C, G36C, M45 MEUSOC, and 5.7 USG. With the Sidewinder uniform, Elite Ash Chibi, and her Ain't Got Time for You victory animation, you'll be facing the most lethal parasite to date. The Ash Elite Set will be available at the launch of Operation Chimera in Ash’s Uniform section. For Operation Chimera, we’re rolling out two new seasonal weapon skins. Once unlocked, these skins can be applied on all available weapons until the end of the Season. The Rusty Trigger weapon skins come straight from the hotzones to give you that hazardous junkyard look without catching the infection. The Ancestral Southwest seasonal weapon skins bring New Mexico's rich culture to your fingertips. Also, keep your eyes peeled for new content available in our Alpha Packs. We are thrilled to launch another year of Rainbow Six Siege content with our Year 3 Pass. Your continuous support is essential as it drives us forward, and ensures our longevity. As a thank you gift to Year 2 Pass owners who renew their Pass for Year 3, we offer 600 additional R6 credits. 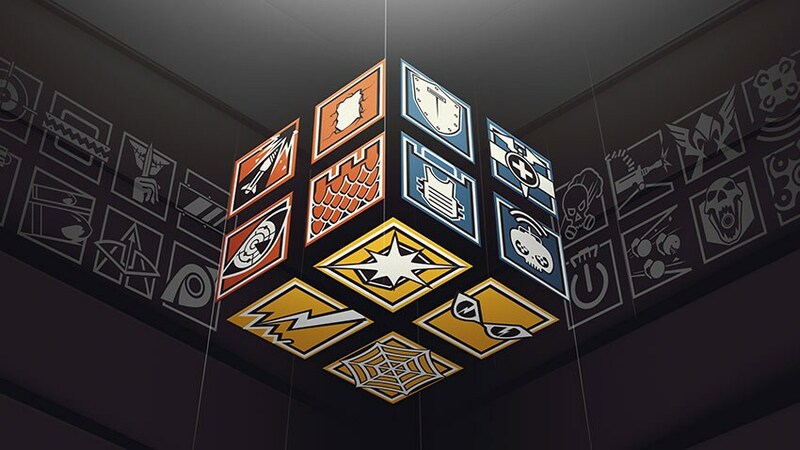 Follow the link below for a detailed list of everything included in Tom Clancy’s Rainbow Six® Siege Year 3 Season Pass. The recoil will be harder to control. It will pull harder on the camera, and the maximum amount of kick (max diamond size) is bigger. Our objective is that she remains efficient at taking fights at short distances when getting pushed by attackers, but is at a clear disadvantage when taking medium to long range fights versus assault rifles with ACOGs. A deployable shield will replace her impact grenades. As many of you identified, she was too good at doing all the roaming work by herself: preparing rotations, being warned by Concussion mines, and of course killing with her SMG. This loadout change will force her to rely on teammates for rotation holes, or to pick the shotgun if she wants to do them herself. Impact grenades will replace Kapkan’s barbed wires. 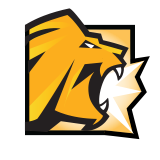 He already has a lot to do in preparation phase to set his traps up – having impact grenades for faster rotations is a better fit for his playstyle. In some instances, the server was rejecting shots to players in a DBNO (Down But Not Out) state. The reason for this was a desynchronization with the game server. After downing an enemy, you could see him rotating in one direction from your point of view, while on the server, their movement was completely different, and that is why some of your shots to DBNO targets would not register. The image above shows the difference between what the player sees and what is happening on the server (in red). We have addressed this desync and your shots should now land properly and accurately on downed enemies. When you reload your weapon there is always a point in the animation where your ammo count updates. We have overhauled the “key” moment where it happens during the animation. All weapons ammo updates are now slightly faster. They have been rationalized according to their animation. This should make reloading a lot more comfortable. You can now interrupt a tactical reload (reloading with a round in still in the chamber) with aiming down the sights. Before you could only do it with sprint, but now if you are reloading and someone surprises you and you want to shoot, all you have to do is go to ADS and fire instantly with your remaining ammunition. Missing reload resume points have been added to all weapons reloads. When you interrupt a full reload, if you have done certain steps (ie. Discarding the empty magazine) you won’t do that step again when resuming the reload animation. We will be implementing a new input method on PC. This raw input option reads mouse/keyboard values directly from the hardware, without any post-processing. This may slightly improve the responsiveness of the mouse/keyboard during heavy load. This option can be found under Controls > Raw Input. We are removing Bartlett University from the Casual Playlist and adding Yacht back. You can no longer walk on deployable shields. 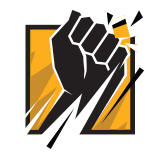 At any instant that an operator is considered walking on the shield, it will collapse on itself (be destroyed) and the shield is refunded in the inventory of the defender that placed it. That will prevent players from utilizing exploits by walking on a shield. Throughout last season, we collected your feedback regarding hit validation in general and melee hit validation in particular. Many of you have experienced how it feels to flank an enemy, approach from behind, land a clear knife hit, hear the audio, but not get the kill. We understand how frustrating it can be, that’s why in Patch 3.1 we have applied some tweaks and improvements that should make melee attacks much more reliable, and we are looking forward to receiving your feedback! Fixed - The shock battery disappears when the barbwire it is placed on is destroyed. Fixed - Blitz's first person animation is faster than third person animation when equipping his shield from the back. Fixed - Stim Pistol's reticule turns blue when aiming at an attacker. Fixed - Yokai drone can be placed in a door/window frame in a way that a barricade placed over, allows it to see and fire on both sides. Fixed - The Grzmot mine can be deployed between wall panels causing the tip of the gadget to clip through the wall. Fixed - The character can freeze while deploying the gadget from rappelling position. Fixed - Pellets stick incorrectly in the corner of some trapdoors. Fixed - Deploying IQ's gadget and entering Observation Mode at the same time causes the gadget to become opaque. Fixed - Jäger’s gadget floats in the air when placed in certain locations. Fixed - Following certain steps, it is possible to have Montagne’s shield up while rappelling. Fixed - Tachanka's LMG shields are inconsistent, players can get shot through them in some instances. Fixed - Vigil's ERC-7 is deactivated when climbing or descending ladders. Fixed - The play ranked button can be selected for a second after a user below clearance level 20 joins the squad. Fixed - Users are able to create Player Hosted Custom Online Games. Fixed - When entering from rappel while breaching a window, the character animation will remain stuck looking up. Fixed - A small gap in 1F Staff room reveals a spot in EXT Terrace. 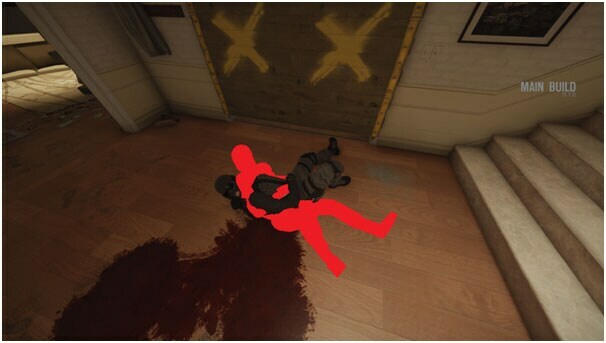 Fixed - Defenders are able to spawn kill attackers from 2F Classroom. Fixed - Ela’s concussion mines are very difficult to pick up when place in the boat model. Fixed - Great room can be seen through a gap in the floor on 2F bedrooms hallway. Fixed - Jäger gets stuck in 2F Logistic Office's bookcase after placing the ADS on the second shelf. Fixed - Jäger can clip through a wall after placing his ADS in a specific spot of the 2F Penthouse area. Fixed - It’s possible to melee through reinforced walls when doing a rappel enter in 2F Exit Stairs. Fixed - Attackers are killed if they enter rappel on the wall near to the EXT Courtyard metal platform while sliding off the platform. Fixed - In Terrorist Hunt, a player can spawn inside another when choosing EXT Shooting Range as spawn location. Fixed - Attackers near EXT Construction Site can be spawn killed by defenders from the window at 2F Upper Hallway. Fixed - Inconsistent deployment of Active Defence System on walls with a lower wood panel. Fixed - A small gap in indestructible window allows players to see outside. Fixed - Some collisions with barbed wires and Grzmot mines are inconsistent. Fixed - Drone can be placed inside walls of Plane from 3F cockpit stairs. Fixed - Players can vault on the wooden beam on 2F Work Office using a deployable shield. Fixed - It’s possible to shoot from 1F Bathroom to 1F bedroom through the indestructible cabinet. Fixed - Players can clip through the unbreakable wall between 2F Office and 2F Rail Corridor. Fixed - There is a gap in the wall that allows the player to see through it with a drone at 2F Exhibit Hallway. Fixed - Characters can clip through the stairs when prone and moving.